- The Shawshank Redemption - Andy’s desire to escape unjust imprisonment. - The Lord of The Rings - Everyone’s desire to destroy the ring. - Finding Nemo - Nemo’s desire to find his dad. Desire first, and everything follows. If you look closely at each film or novel you enjoy, you will see a desire that drives the whole story. And when the desire is met or not, the story ends. I realised recently, that our lives are stories. And God should be the desire that drives them. And, all the while, I never admitted to myself that faith had become a difficulty to me. All that was happening underneath a life that looked fine: Going to seminars, doing work each day, meeting up with friends, going to Church, having fun with my husband and family... Those activities just kept ticking by, and the weeks had gone on, whilst my heart was still struggling with all of the above. And all the while, that little voice that was telling me to pray, read my bible, was getting quieter. And then it suddenly got stronger. Thank God for his convicting Spirit. I knew I was discontent and that the answer lay in reading my bible and praying and living well for God. So I tried. I tried really hard to bring myself back into alignment with what I knew God wanted. And I kept getting frustrated. Until eventually, I fell back and all the zeal had gone out and I just ‘gave up’. What was going on? Why did it feel so hard? God is good and faith is right - I know that for sure. So something must be wrong with me, and my perspective on it all. In God’s grace, he gave me the time and space to really dive into all this. I had forgotten that most obvious truth, the most central thing. That faith was just a relationship with God. Even though I knew it logically, I’d forgotten what it really was and what it really meant to my life. Instead, I’d made faith all about me. I’d turned it into a way of living that would improve the way my life was, that meant I’d be living well and pleasing God. I’d wanted myself to be doing well in God’s eyes and especially in the eyes of other people. Me. God revealed to me in prayer that all my desires were inward; I was self-oriented, self-ambitious. Even the good-sounding ‘faith’ desires were about me. The glass shattered. It made me sick to suddenly see how I was living. I was ignoring the gift Jesus had given me at so much cost! Just reconciliation with him (2 Cor 5:11-21). I was ignoring God for a life where I looked good. I was putting myself over Him. God-like outwardness is the key. Just forgetting about how we’re doing, and wanting to know God. Immersing ourselves in Him - not half heartedly, but fully. So, back to the beginning. If our lives are one big story, He is the desire that should drive it. In the same way that desire propels a protagonist forward into the ups and downs of a story, so too should our desire to know God propel us into the story of our lives. If your life were a story, what would its title be? The Pursuit of God, or The Pursuit of Me? When you read through the story of your life at the end, or when God does, what would it read like? Would it be the exciting tale of a life dedicated to pursing Him whatever the cost? Or would it be the easily distracted, drifting life of an apathetic more concerned with themselves? With that simple revelation: that I just needed to know God like I’d know anyone, I was suddenly free. Honestly, it was like a weight had been lifted. Cliché, but true. There was no pressure, no constant feeling of failure and guilt, no anxiety about how I was doing. Just Spirit-filled peace. I wanted to get to know my Father. And he would always provide the forgiveness, grace, and strength for me to do so. It’s strange though, because we are supposed to be aware of how we are doing, how we are living. (Eph 4:22-24). But what is crucial is how much we care about that. Are we putting that desire to live well above our desire to just know Him? The same way a character vigorously pursues their goal in a story: sacrificing things of value in order to obtain it, should be the same way we pursue God. 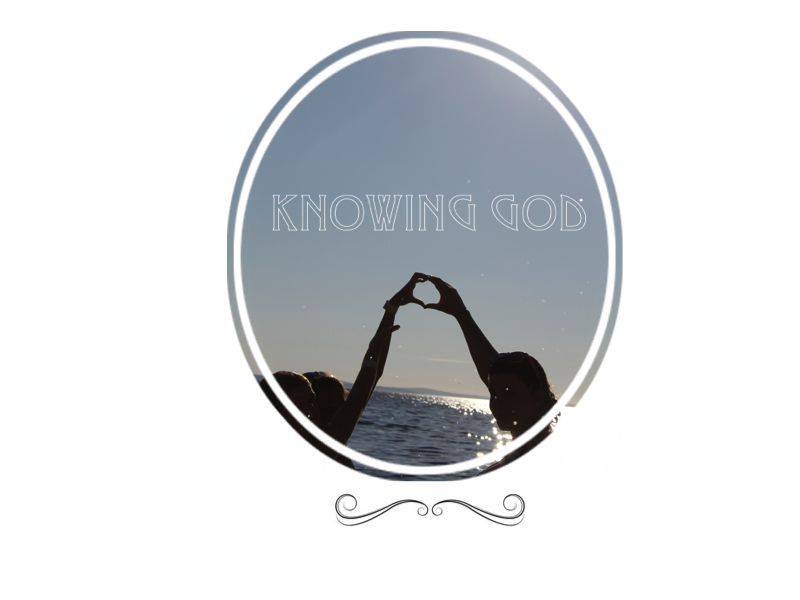 We should put Frodo, Andy, and Nemo to shame with how much we strive to get to know God. I suspect that this is a regular occurrence for most Christians - this forgetting to seek God himself, and this up and down pattern of faith and living. I also suspect that I will keep doing this for a long time. We will keep losing perspective, and drift with our sin. But I know that God will always pull us back again (John 15). I’m starting to realise that we have to accept this pattern of repentance and entering into faith again. It’s the reality of a sinful Christian. But hopefully, with God’s sanctifying hand with us, the period of being lost and confused will get smaller, and we will learn to go to God a little bit quicker each time. Hopefully our desire will increase with each chapter that closes, until one day the story ends, we close the book, and we reach our goal. God himself.